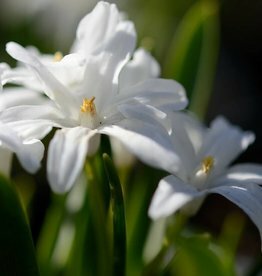 Chioodoxa, commonly known as Glory of the snow, is a cheerful looking flower. 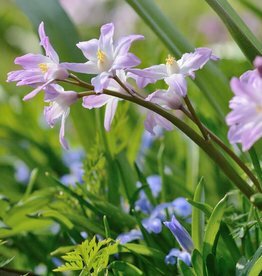 They are ideal for naturalising in a meadow area, in a border or under deciduous trees, shrubs and hedges. They readily set seed and can withstand a dry spring or a hot summer. 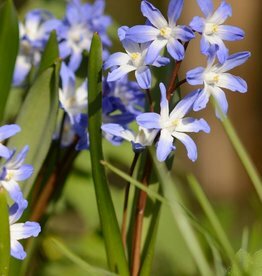 Chionodoxa looks very similar to Scilla; only the stamens and the outside petals differ slightly. 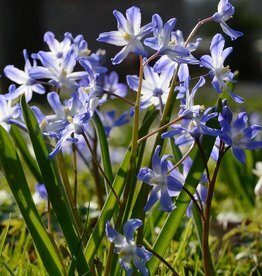 Chionodoxa is native to the Eastern Mediterranean. Chionodoxa luciliae and Chionodoxa sardensis are well known stinzenplants that are found naturalised around many houses of old country estates in the Netherlands. 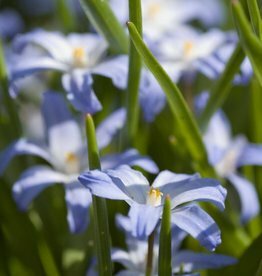 Chionodoxa forbesii is larger and has a more intense colour. 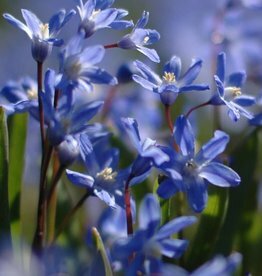 If you´re looking for the ´standard´ Chionodoxia then buy Chionodoxa luciliae. However, it´s well worth browsing through the other sorts first!